In an interview with Howard Stern this morning, the actress was asked if Season 8 will be the end of the Showtime series, as has long been expected. She responded, "yeah, that's it." 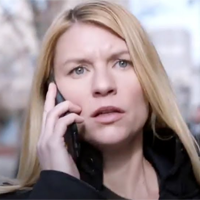 Showtime has yet to confirm that Homeland is in fact ending. Danes said she's conflicted about ending the series. "She’s a lot, this Carrie-freakin’ Mathison character," she said. Showrunner Alex Gansa has said he expects Season 8 to be his last year, which would coincide with the expiration of the casts' contracts. According to a story in The Hollywood Reporter, Showtime hasn't made a decision on the show's future, adding that "there's been talk with keeping the show going with a new showrunner and new cast." Danes also revealed to Stern that she's pregnant with her second child, but Homeland won't be impacted because the show isn't expected to go into production on Season 8 before the end of year.